New rendition of the classic tale of King Arthur and his knights of the Round Table. the reader to swim about in, delighting at the random beauties of fifteenth-century prose." The stories of King Arthur, Lancelot, Queen Guenever, and Tristram and Isolde seem astonishingly moving and modern. 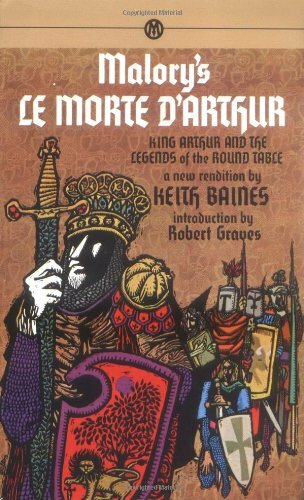 Malory's Le Morte d'Arthur endures and inspires because it embodies mankind's deepest yearnings for broth-erhood and community, a love worth dying for, and valor, honor, and chivalry. Elizabeth J. Bryan is associate professor of English at Brown University. She is the author of Collaborative Meaning in Medieval Scribal Culture: The Otho LaZamon.